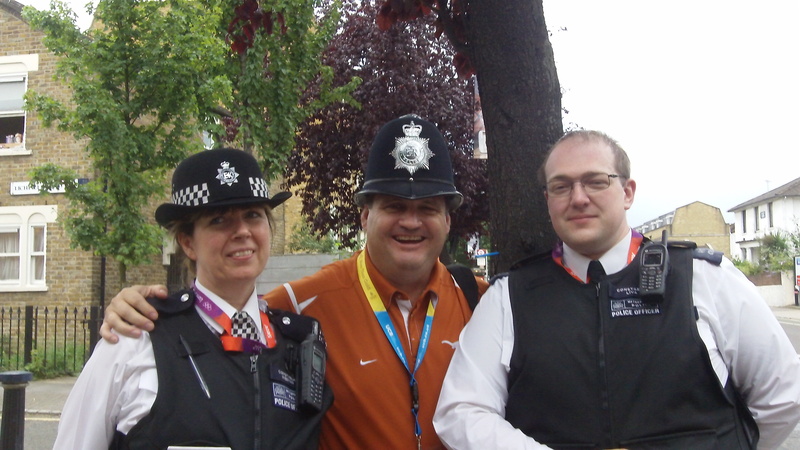 We had a great time in London ministering during the Olympics. It was really neat to have all of my family on the trip and I’m also glad Caitlin was able to go. I think all the girls enjoyed seeing the historical places, eating some different food and meeting some great people. Get to the airport early, sit and enjoy some Starbucks while we wait for the plane to board. End of a long plane ride, customs and then the tube. We change at London Liverpool and everybody is ready for some food. The girls’ first meal in London? McDonald’s. Finally arrive at the High Leigh Conference Center, check-in, get a short nap before orientation begins with the folks from More than Gold. Another full day of orientation, some interesting meals at the conference center and we are ready to go. They posted some ministry opportunities and we decide to do a children’s fair on Saturday in Woodford. This is our day to visit York. We catch a train, walk 20 minutes to make a transfer, catch another train, transfer again, another train and after 3 hours we are in York. Right as you walk out of the train station you see the ancient city wall, it’s amazing. We visited York minister (that’s the church) where worship has taken place every day for hundreds of years. We also verified that there are indeed 275 steps up to the top of the minister where you can see the entire countryside. We ate some great fish and chips and Drakes and enjoyed a walk through the Shambles. Found some American style food for dinner before the long ride back to High Leigh. The challenge for this day was for everyone to talk to someone they didn’t know. We started by picking up our Olympic tickets. This proved to be a great opportunity as everyone fulfilled the challenge while waiting for 2.5 hours in line. 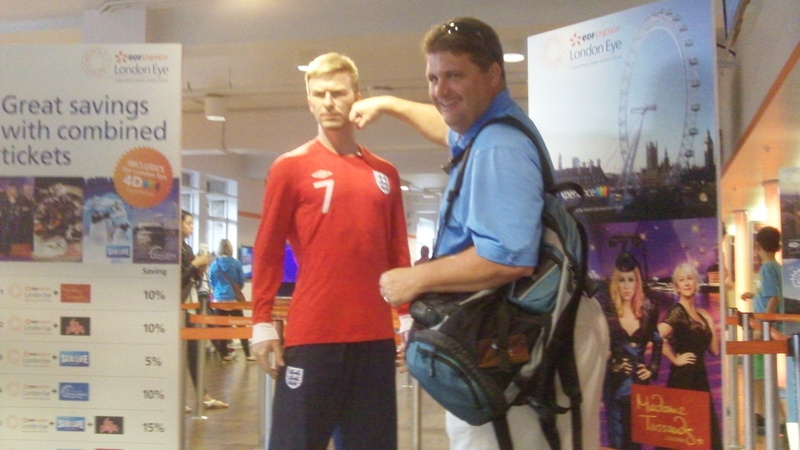 Then off to Westminster Abbey for some sightseeing before we attempted to go see the opening ceremonies at Hyde Park. There were giant screens and a big party planned there. From the crowded tube it seemed it seemed that everyone was going there. Then we found out the tickets were a bit pricey, so we headed to Victoria Park where you could watch for free. But as we got closer we discovered that you had to have printed a ticket online to get in to the free event. Thankfully some kind Bobbies helped us out with directions and information, then they let me get my picture with them. We made it back to HIgh Leigh just in time to join many of the other groups watching on the big screens. I thought the opening ceremonies were great, very British! Up early to get to Woodford, we had a great time helping with the children’s festival. Caitlin and I both attempted to stay on the mechanical bull and Julie, Holley and Courtney tried their hand at several Olympic events. They had a great turnout at this community event and hopefully made some good contacts for their church. I got to visit with Lawrence who was a young man there helping his parents do an art booth. Lawrence grew up in church but didn’t go anymore since he moved away to south London. Pray for him so find community and friendship among believers who will guide him to Christ. Moving Day. We packed two bags among us all and left early to go to St. Andrews church in Ipslington, a borough of London. We went to church there, had a great traditional British Sunday lunch at a pub, then settled in to stay at the pastor’s home for a few days and work at their Holiday Club. This is where we met Reverend Rob, his wife Claire and their nineteen year old daughter Bethany. We also met Caroline Horn who was the highly organized and motivated leader of the Holiday Club. Caroline is amazing. She has traveled much of the world doing ministry and speaks about nine different languages. We spend the afternoon watching the Olympics on TV then headed off to church to set up for Monday morning. First day of the Holiday club. Only three kids showed up but we had a great time going through all the motions as if there were a full crowd. After lunch the girls and I went to the Tower of London for the day. We saw the crown jewels, the place where Anne Boleyn was beheaded, the torture chambers and even tried to get an officer to smile. Dinner at KFC and Subway before we headed off to Kings Court for our first Olympic event: Women’s Volleyball. We saw a couple of games including Great Britain. But the games were going late and so we left before Great Britain had their comeback to win their match. Got home about 1 am and went to be worn out. Day two of the Holiday Club saw our numbers triple to 9 kids! 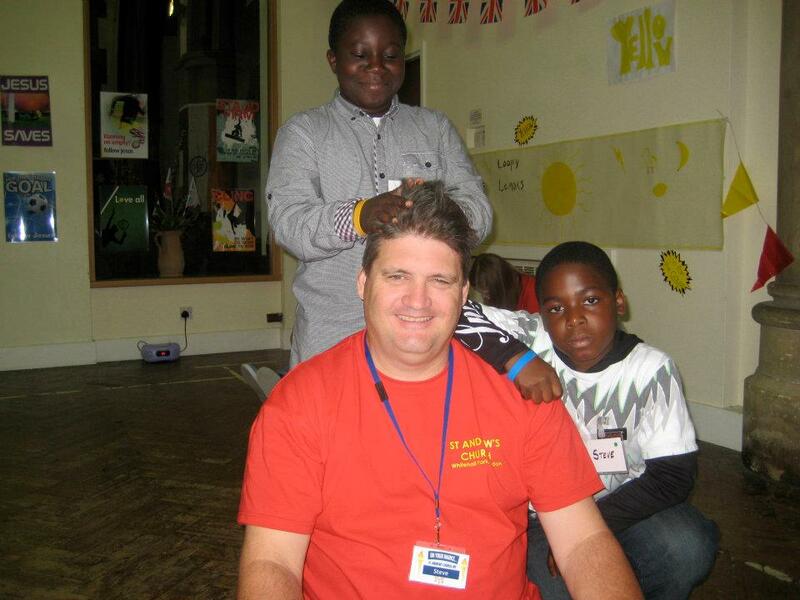 I met Michael and Steve, two kids from Ghana who were full of energy. We had a great time together and it was much more fun having more kids there. I rested the afternoon while the girls managed to find the local Starbucks. That night we went back to King’s Court for Men’s Volleyball. It was another late night. We went back to the tube station to pick up our luggage and trekked back to High Leigh for the evening. Early morning travel from High Leigh to the airport was interrupted by a 30 minute delay on the train. That meant we were running through the airport to catch our plane and just made it. I’m pretty sure we were the last people on the plane! Then we say on the tarmac for 45 minutes while they fixed something on the plane. 9.5 hours later we were on the ground in Houston! We had a great time, met some fantastic people and made some lasting memories. 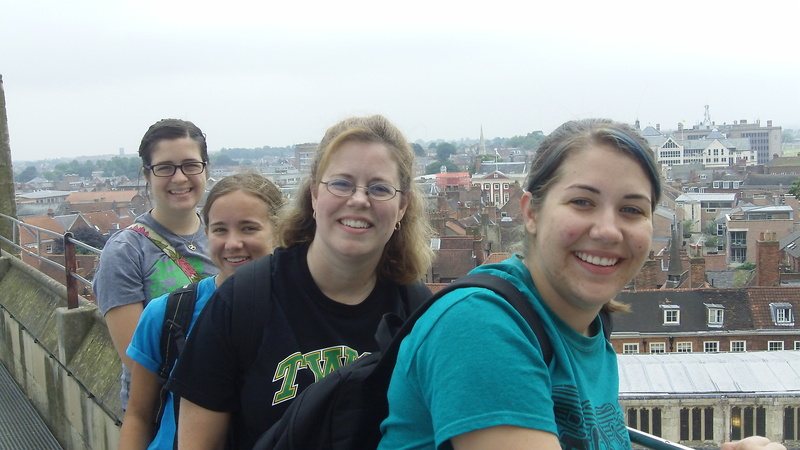 We’ll always pray for the friends we met there and those we were able to talk to about Christ.